Magnets have two poles, called north and south. The like poles are attracted to unlike poles, but like poles repel each other. For example, the north pole of one magnet is attracted to the south pole of another. Magnets have a force or magnetic field that attracts metal objects such as iron and steel. This makes magnets useful in car ignitions and toys. Certain metal objects will move if they are placed near a magnet, but others will not. To make objects move with a magnet attach a piece of metal, or another magnet, to it. Test a magnet's strength by lifting iron or steel objects. A refrigerator magnet may be able to lift a paper clip, but may not be able to lift a nail or small steel bar. Tape a small piece of metal to the object that is to be moved. The object will be attracted to a magnet brought near it. For example, a magnet will move paper that is attached to the metal. Attach a magnet to an object. When another magnet is brought near it, the two magnets will either be attracted or repelled, and the object will move. For example, if a magnet is attached with a string to the middle of a horizontal pencil, the apparatus will behave like a pendulum when another magnet is moved around it. 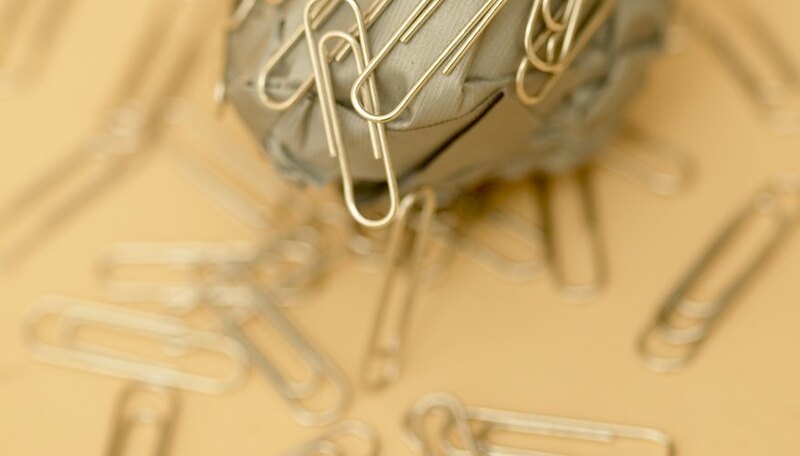 Magnetize a piece of metal such as a paper clip, by rubbing it against a permanent magnet. The paper clip can pick up other paper clips and small metal objects. It will also behave like a small magnet. When it is attached to another object and brought near another magnet of similar strength, the object will move. To move heavier objects, use a small earth magnet. Use glue to attach the metal permanently to the object. Lewis, Kim. "How to Make Objects Move with a Magnet." Sciencing, https://sciencing.com/make-objects-move-magnet-11384800.html. 24 April 2017. What Happens When Two North Pole Magnets Come Together?